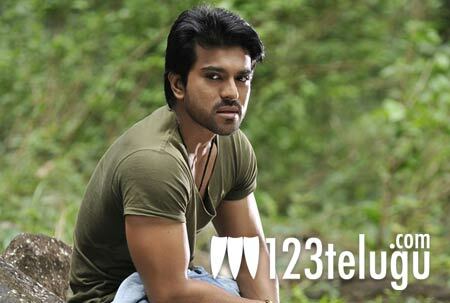 The first look of Ram Charan’s upcoming film Thoofan is going to be launched in a grand way on March 25 in Hyderabad. Apoorva Lakhia is directing the film and Thoofan is the title of the Telugu version of Zanjeer. Priyanka Chopra is playing Ram Charan’s romantic interest in this revenge drama and Ram Charan is playing the role of a young and sincere police officer. The film will mark the debut of Ram Charan in Bollywood and there’s a lot of buzz about him already. If Zanjeer’s remake turns out to be a hit, it will surely have an impact on Ram Charan’s career in Hindi and he’ll be flooded with plenty of offers. Srihari is playing an important role in Thoofan and few weeks ago he replaced Sonu Sood in the film, who had to opt out due to an injury. Prakash Raj has been cast as the villain and Devi Sri Prasad is scoring the music. The film’s shooting is fast nearing completion and it’s expected to release later this summer. Yogi is supervising the Telugu version. On the other hand, the first look of Ram Charan’s Telugu film Yevadu will be unveiled on the eve of his birthday on March 27.